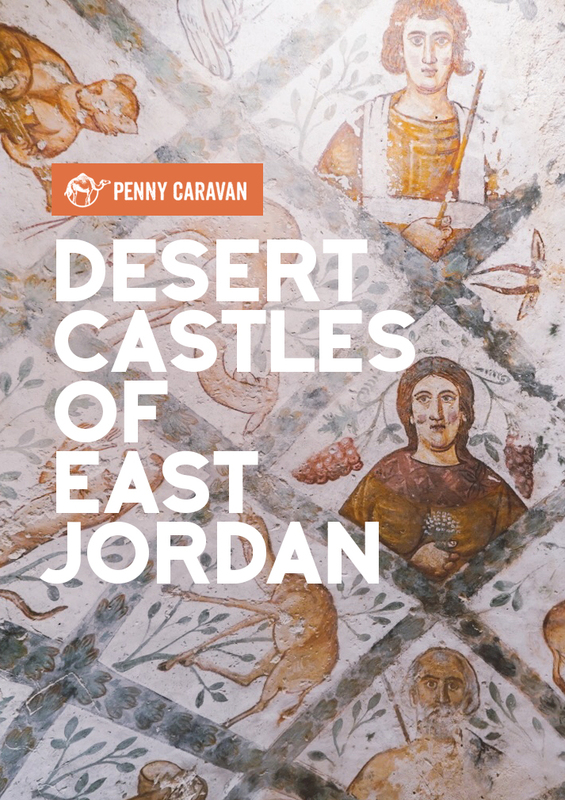 The eastern arm of Jordan is a large, nearly desolate desert that few tourists venture into. 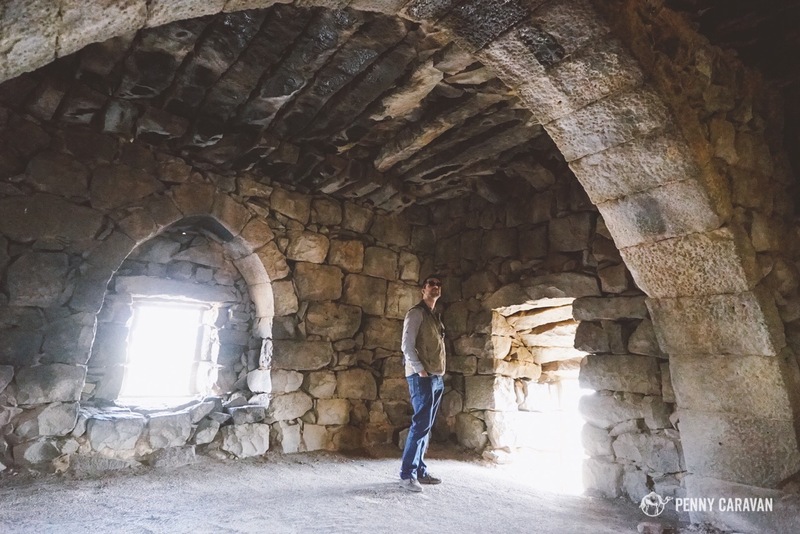 What they’re missing out on is a handful of hunting lodges and retreats built by the Umayyad rulers in the late 600’s, that together with the Azraq Fort have come to be known collectively as the “desert castles”. 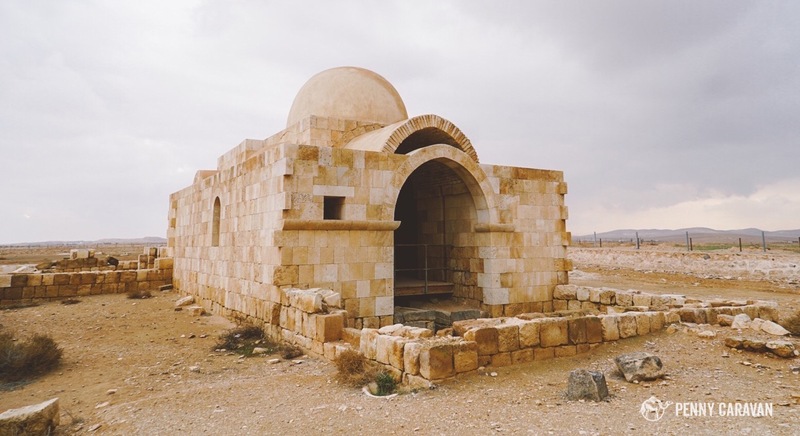 A few of these structures are situated right along the highways making them an easy round-trip day excursion from Amman and are known as the Desert Castle Loop. 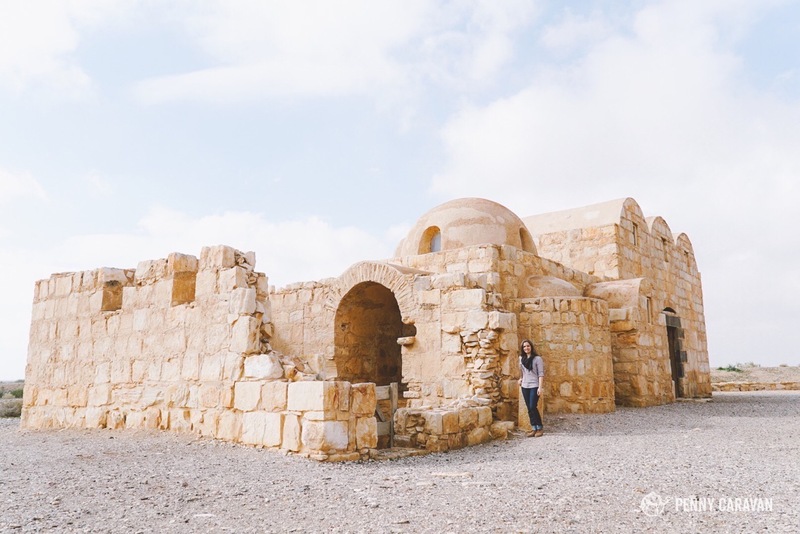 From Amman, the Farah Hotel offers day trips to the Desert Castle Loop. 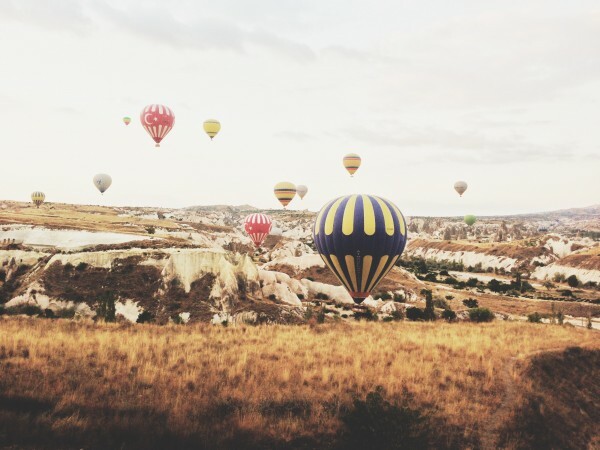 We called to arrange to be part of the tour but since we were the only ones inquiring that day, they sent us a private driver, Khaled, and we paid 50JD for the whole trip. We set out at about 8:30am, spent 45 minutes at each stop, had lunch, and arrived back in Amman about 3:30pm. 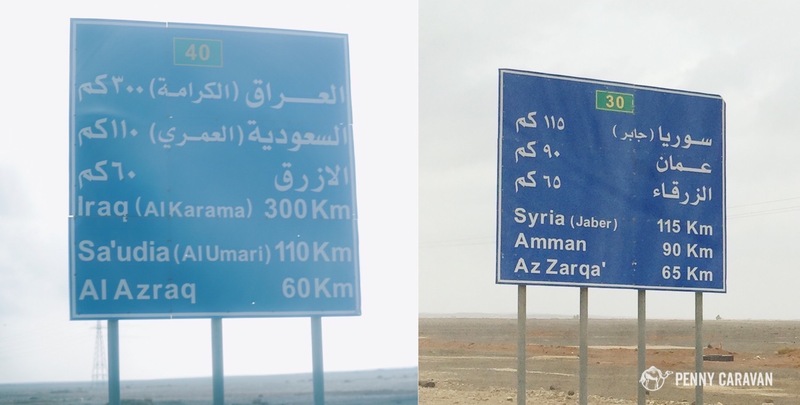 The first thing I noticed on our drive were the highway signs, causing my pulse to quicken as they alerted us to how close we were getting to Syria, Iraq and Saudi Arabia. We watched Jordanian aircraft patrol the border, and passed dozens of military vehicles on the highway. 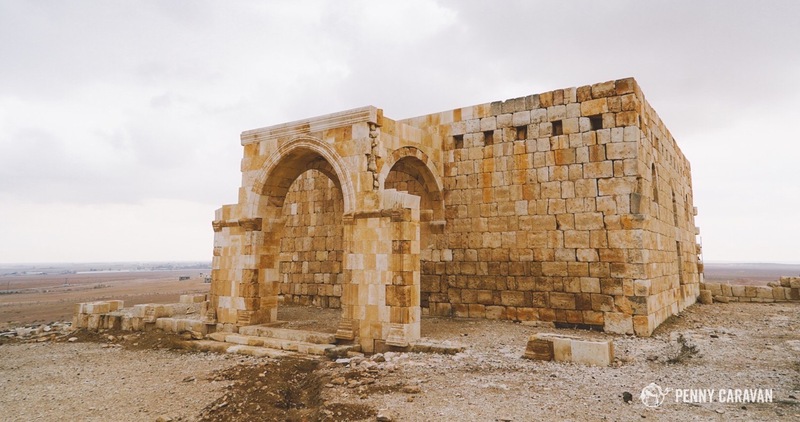 At Qasr al-Hallabat which is on a hill, our driver pointed out the flat plains of Syria in the distance—we were less than 20km away. The Syrian crisis became very real to us when we passed Zaatari Refugee Camp, where Jordan provides asylum for nearly 80,000 refugees. It’s a startling number on its own, but this camp only shelters about a fraction of the total number of refugees in Jordan, which is estimated to be 1.5 million. 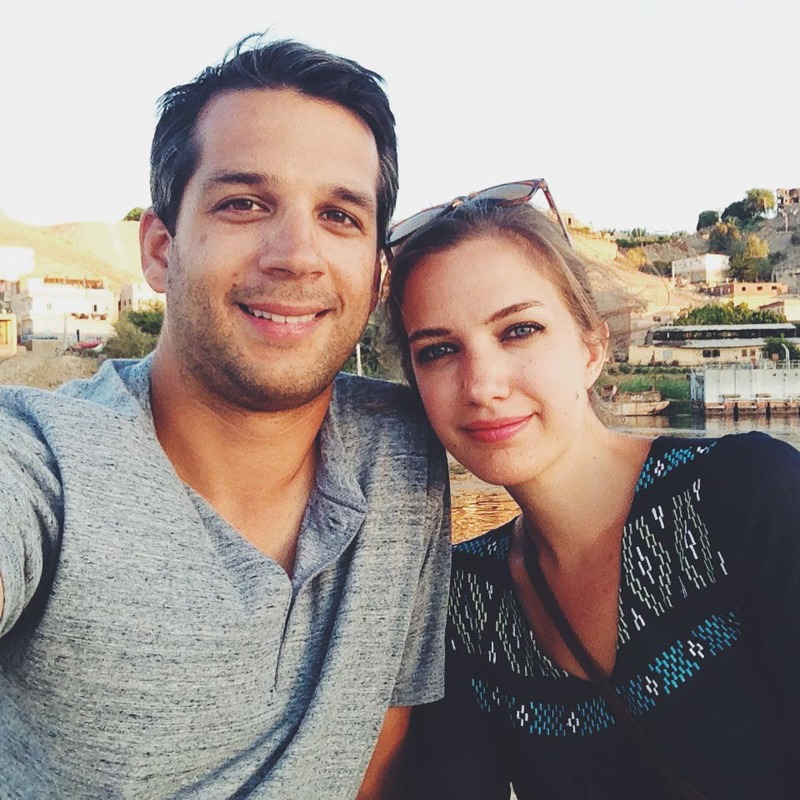 Our journey took us within 20 km of the Syrian border. The first building we visited stands completely isolated on a very flat plain. 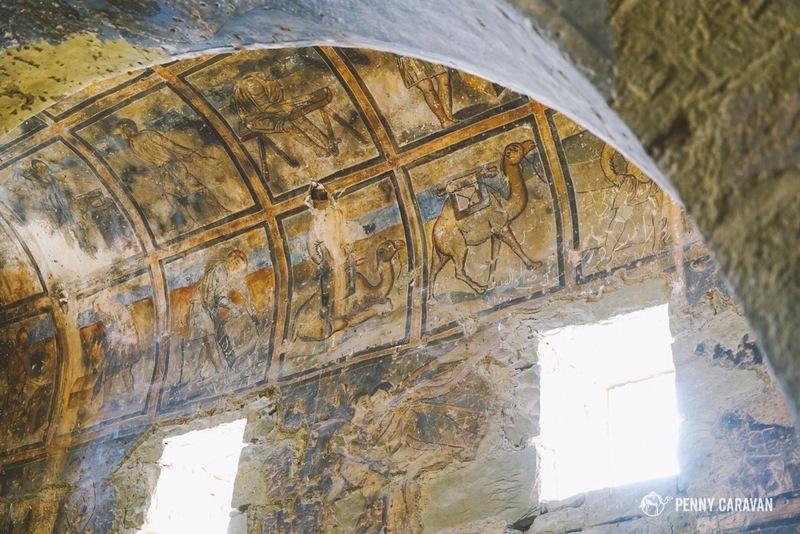 Its function is a bit of a mystery as it appears to be a caravanserai, but isn’t located along any trade routes. 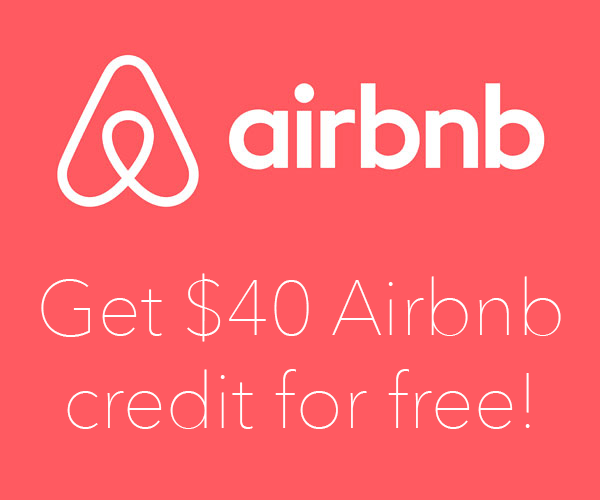 With 60 rooms surrounding an interior courtyard, it is believed to have been a meeting for elite to discuss politics. 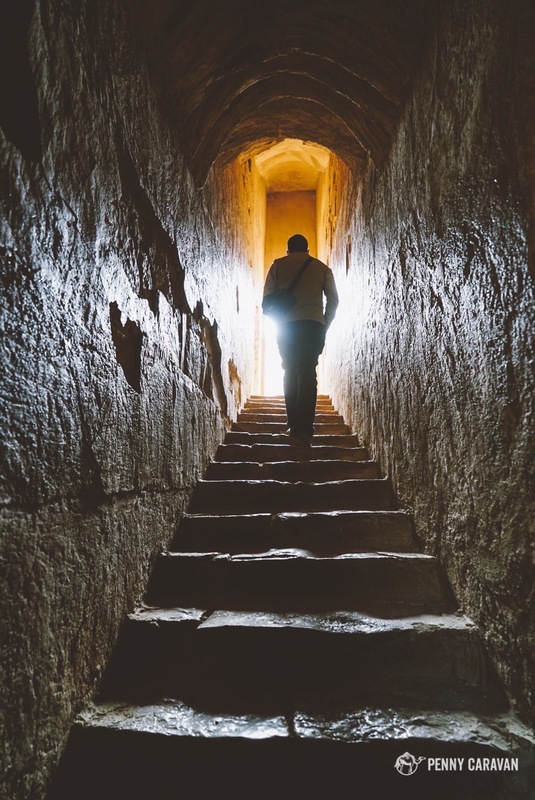 There are two floors that you can wander—just watch your step as there are areas of floor and walls that appear to be crumbling. Qasr Kharana stands isolated on the flat desert landscape. 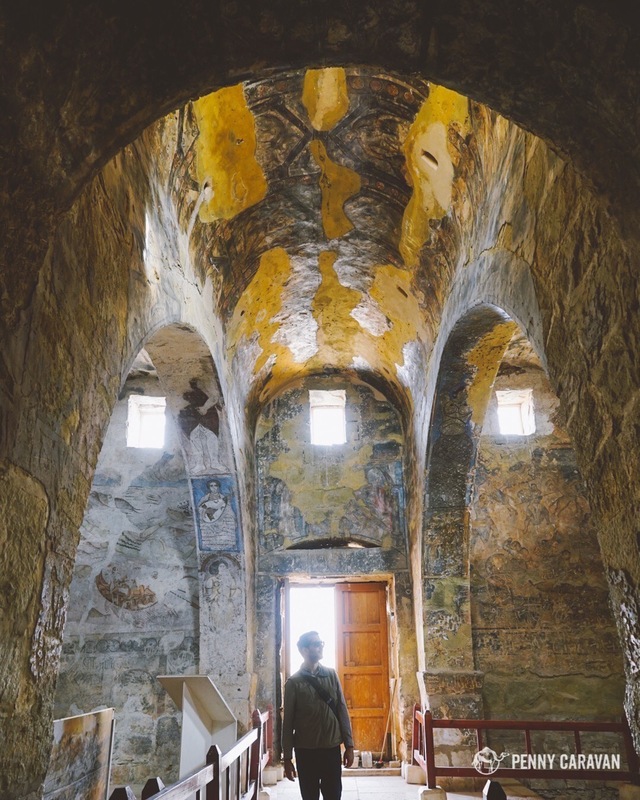 Situated like a caravanserai with an inner courtyard. Walking to the second level. 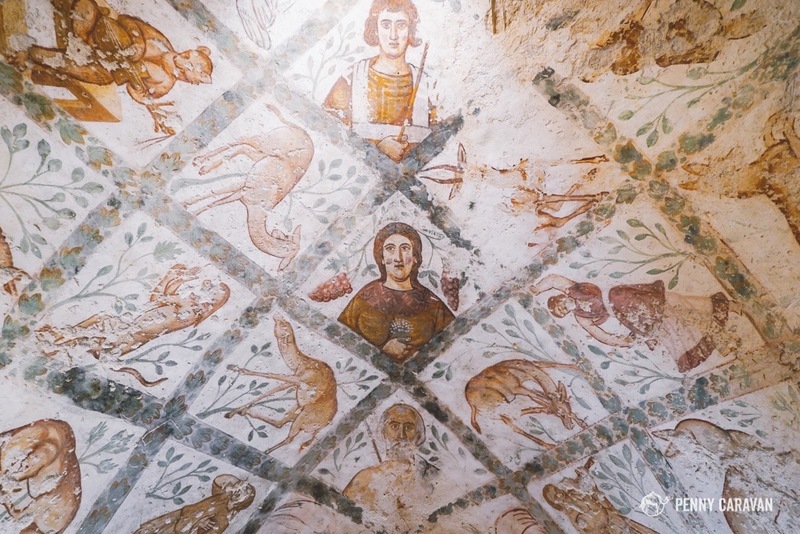 The highlight of the Desert Castles is by far Qasr Amra, a bathhouse seemingly in the middle of nowhere with incredible frescoes lining the interior. 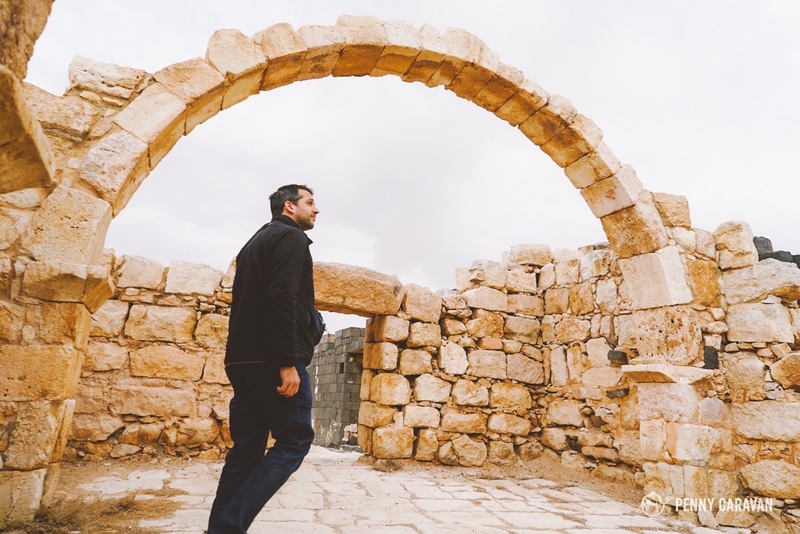 It was constructed in the early 700’s during the reign of Al-Walid, the Umayyad caliph responsible for building Al-Aqsa Mosque in Jerusalem. 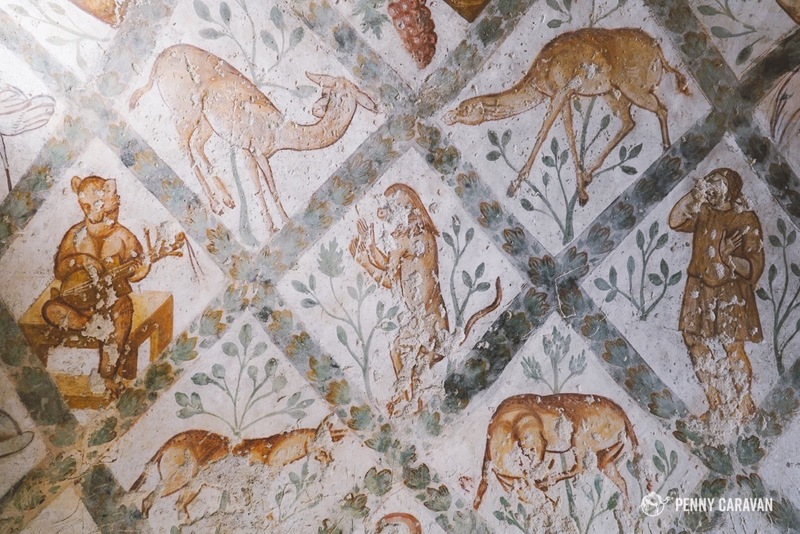 It is believed to have been built by one of his sons and was attached to a much larger complex which was probably a hunting lodge, as it is located in an area that used to be a lush wadi. 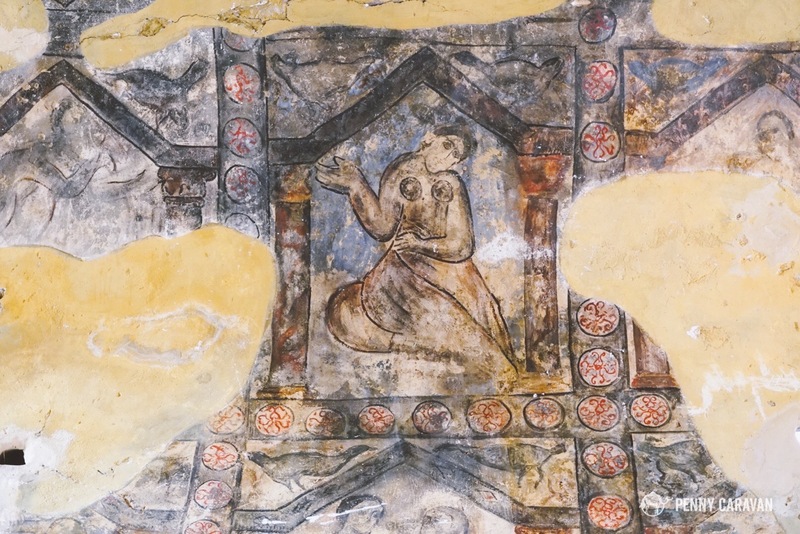 This is an especially unique place because for so many periods of Islamic rule, the depiction of debaucheries was frowned upon and usually destroyed. 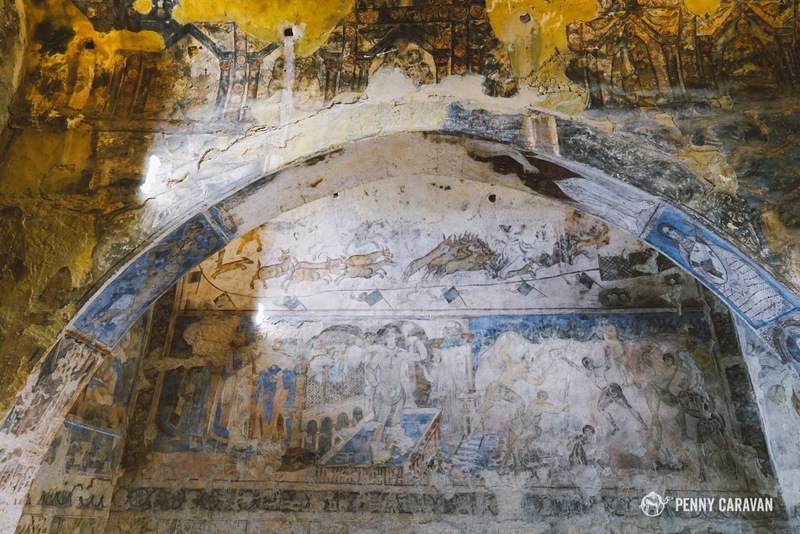 Very few frescoes remain that show everyday subject matter such as the ones depicted at Qasr Amra—hunting scenes, naked women bathing their children, music and dancing. 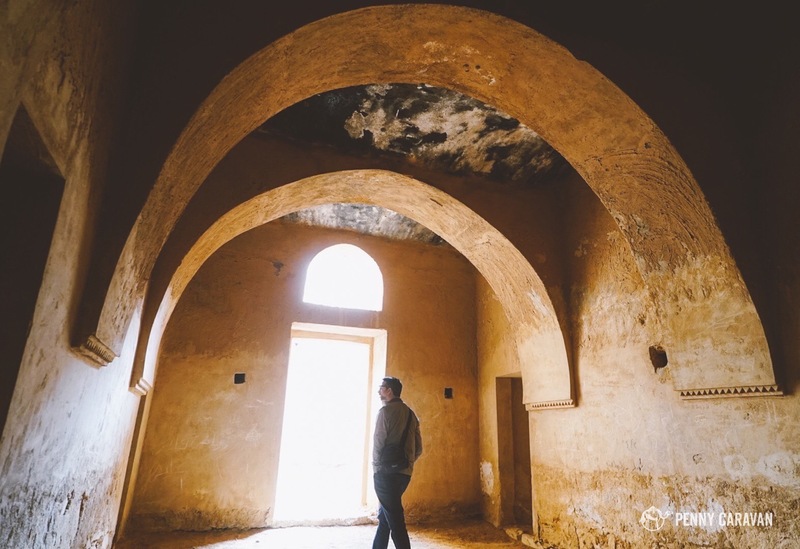 Luckily for us, the isolated location of Qasr Amra helped it escaped demolition for all these years. 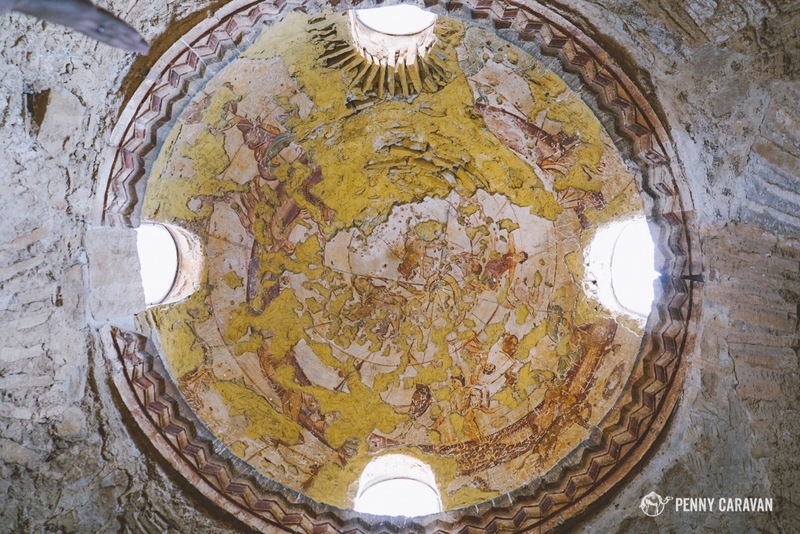 Be sure to look up in the caldarium room to see the zodiac painted on the dome. 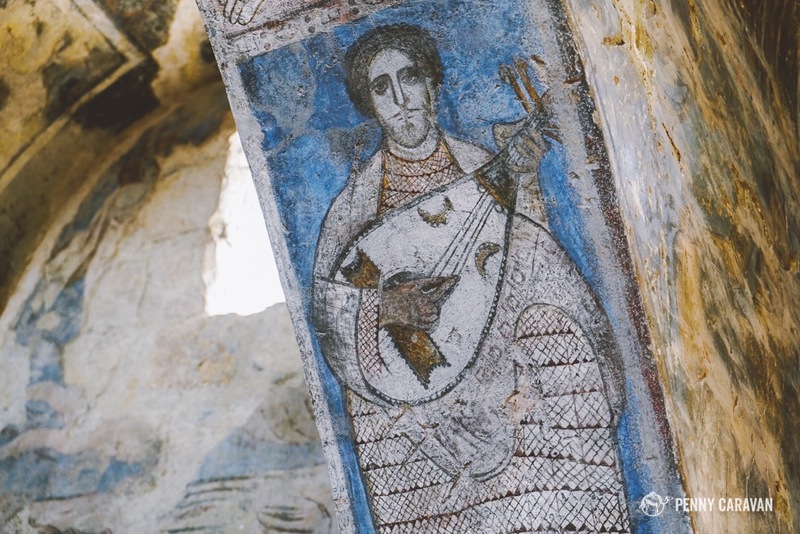 This is the earliest existing depiction of the constellations on a non-flat surface. Expect to spend at least an hour here, as you’ll look at the same wall multiple times and keep discovering new gems you didn’t see before. Qasr Amra kinda looks like a Star Wars set. Impressive from the moment you enter. 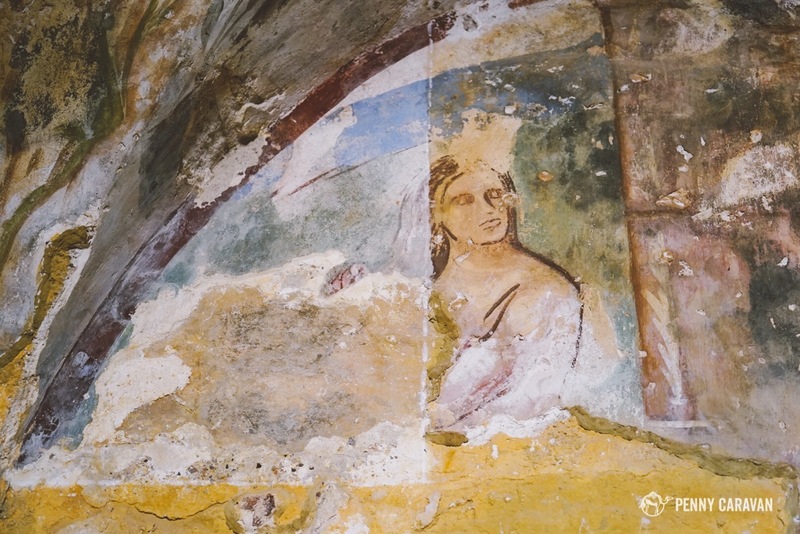 My favorite fresco at Qasr Amra shows a woman expressively combing her hair in the bath. 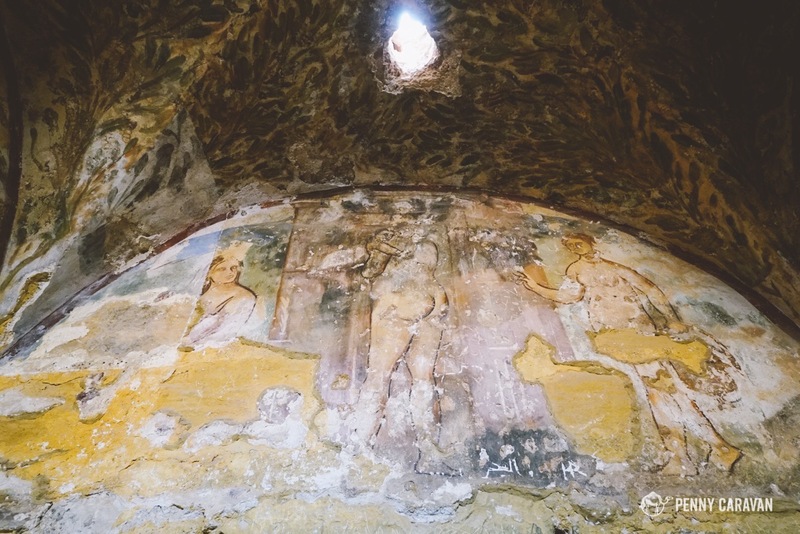 The constellations on the dome of the caldarium. A furnace heated the water that was stored under the floor. 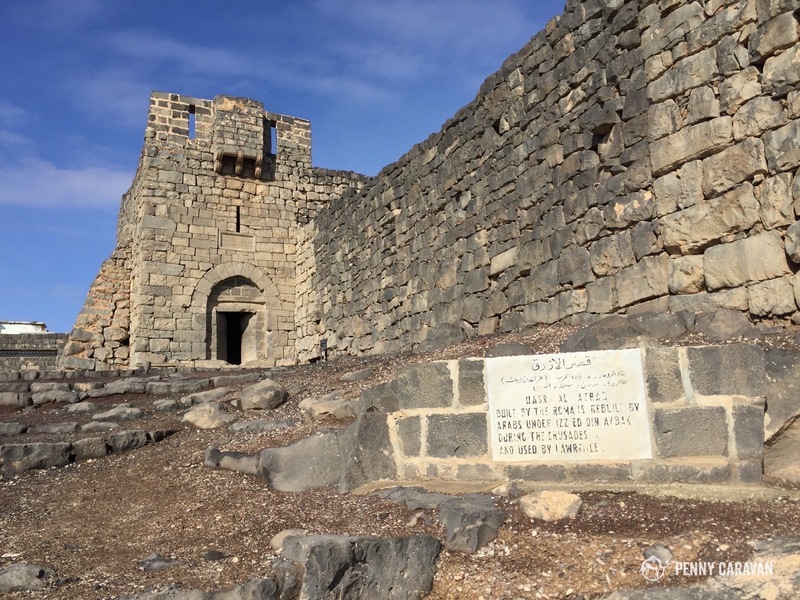 There’s no question about the function of the next “castle”, the fort at Azraq. 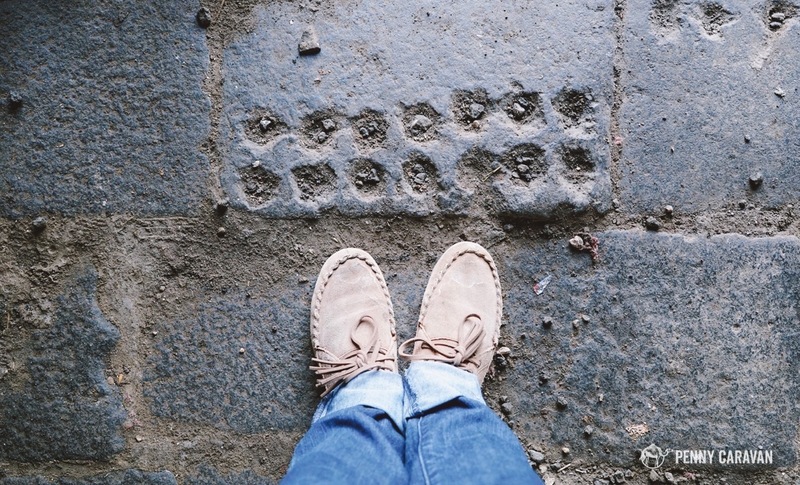 It was built during Roman rule and has been used as a military base for centuries, famously hosting T.E. Lawrence and company during the 1917 Arab Revolt against the Turks. He wrote fondly about the fort and surviving the harsh winter telling stories around fires in the courtyard. 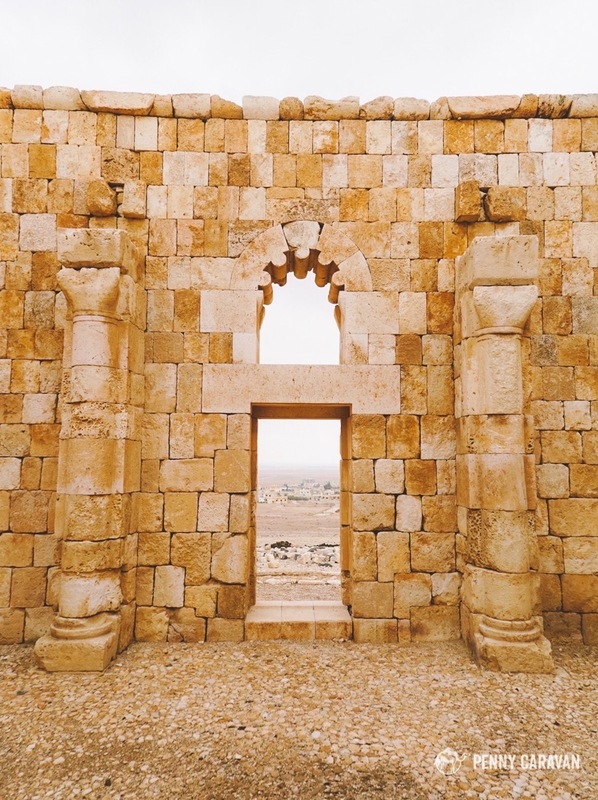 Azraq is a major stop on the harsh desert road between Amman and Baghdad, and for many drivers coming in from Saudi Arabia. 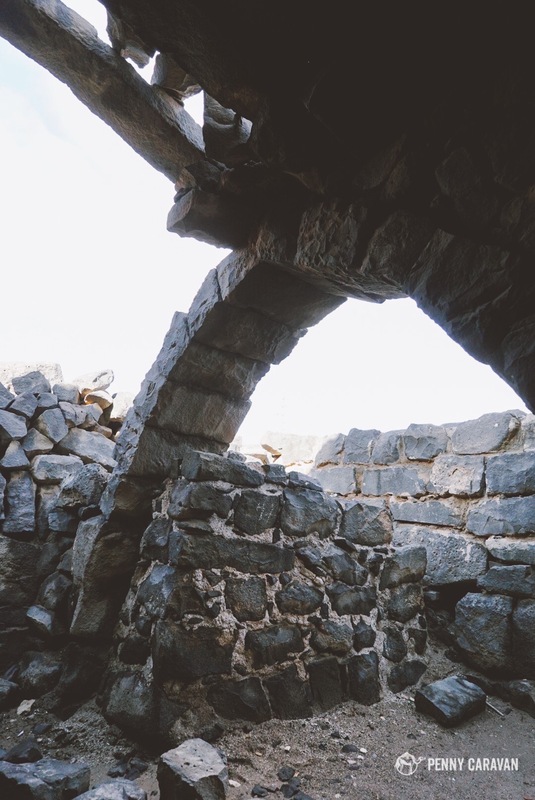 The area used to be an oasis in the desert, but the water supply was drained and the whole landscape of the area changed, leaving the town looking like a dusty outpost made up entirely of black basalt stone. 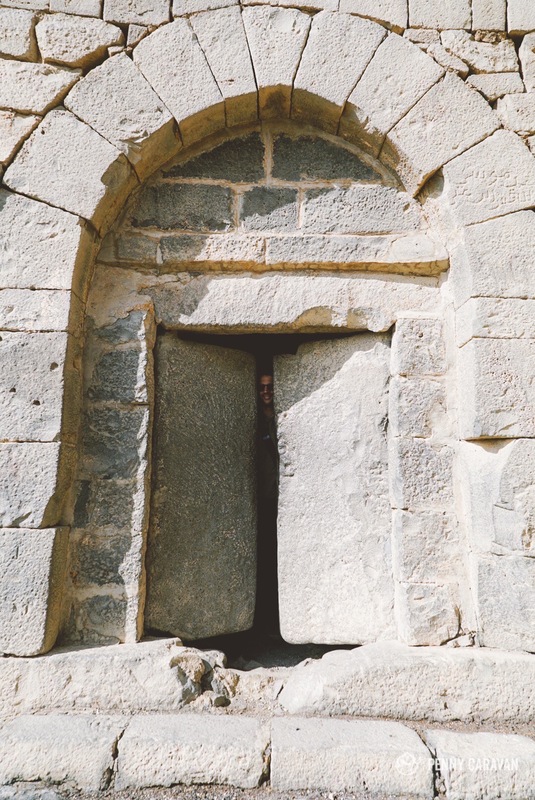 The stone doors weigh a ton, so you’ll feel really accomplished opening and closing them. 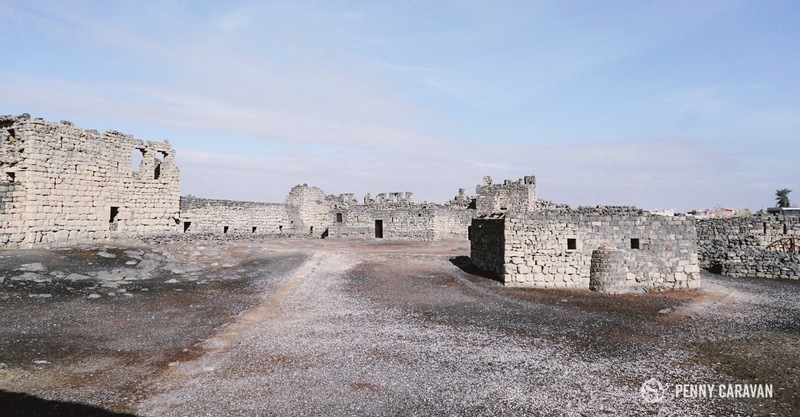 The fort is built with black basalt stone which is quarried locally. This is at the entrance. The guards must have liked to play Mancala too! Inside T.E. Lawrence’s quarters, located just above the entrance. 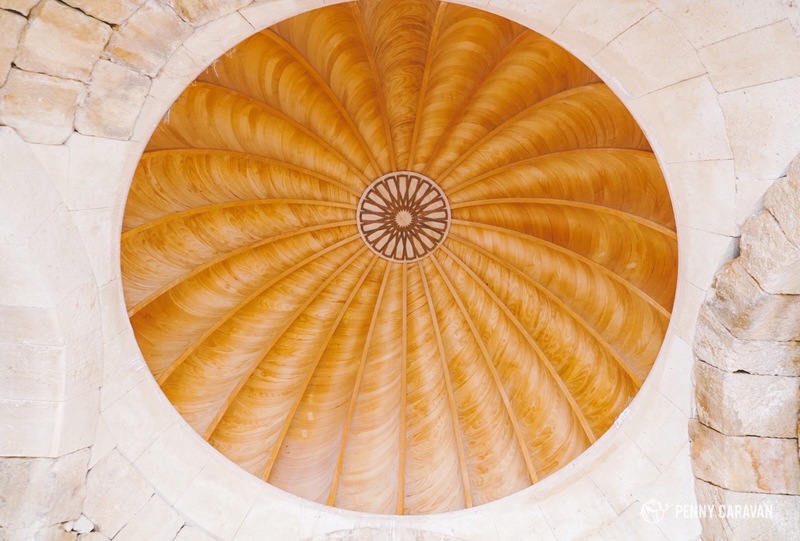 This hammam is a part of the nearby Qasr al-Hallabat and has recently been restored with a new dome and bricks. 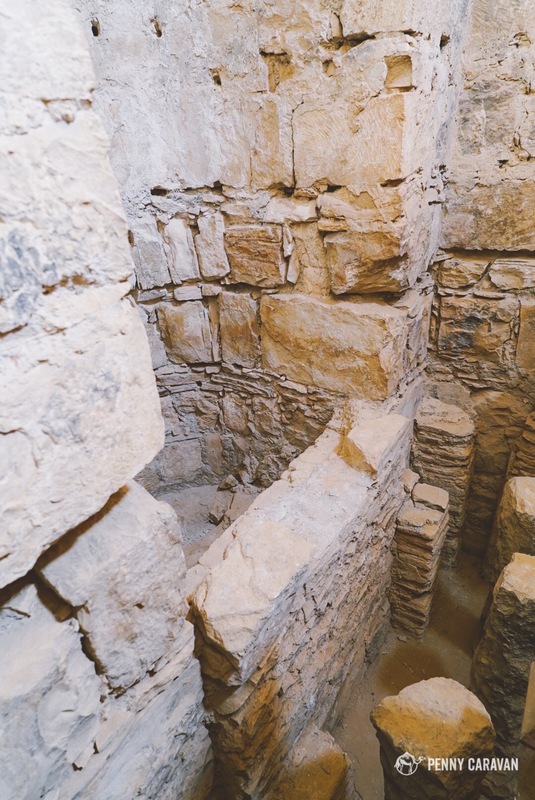 It is a smaller version of Qasr Amra with an apodyterium (dressing room), tepidarium (warm room) and caldarium (hot room) with a furnace heating the sub level water storage. Hammam as-Sarah has been beautifully restored. From here, we could see into Syria. 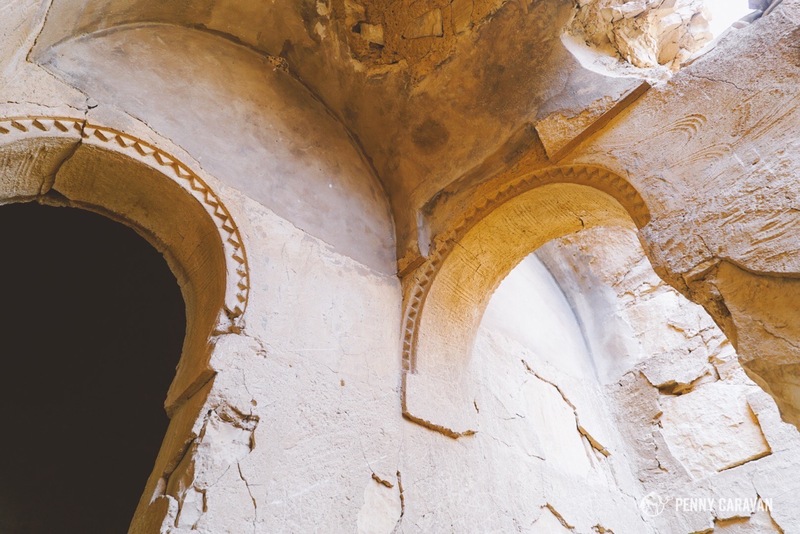 Hallabat has a long history with evidence of settlement all the way back to the Nabataeans. 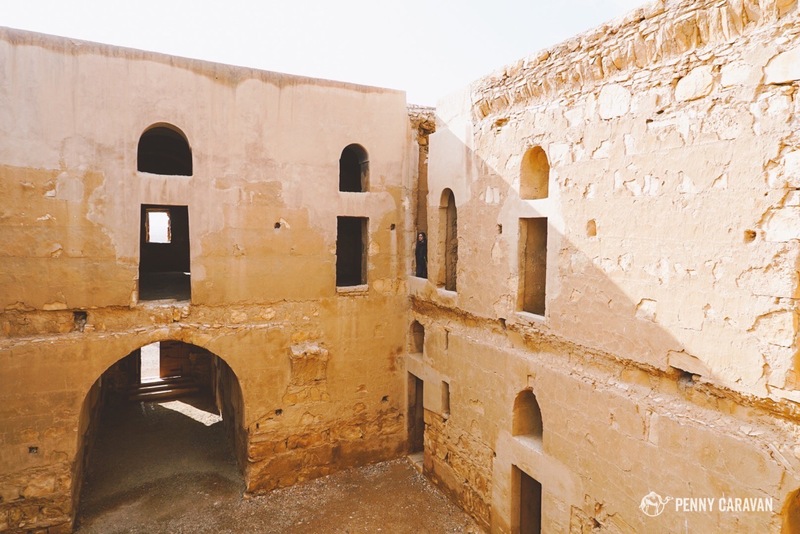 The foundations of the current fort were built in Roman times, and the complex was rebuilt as an Umayyad military outpost in the 8th century. The whole site appeared to be under excavation with crew trailers and cranes, although no one was present when we visited. 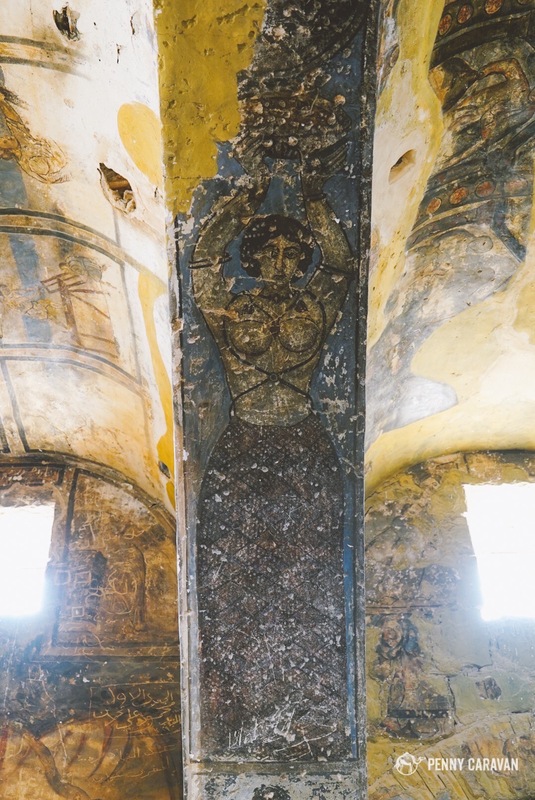 There were two complete floor mosaics from Byzantine times, and remnants of three or four others that were under restoration. Further down the hill, we could see foundations of a dozen more structures where some children were playing as their flocks grazed nearby. 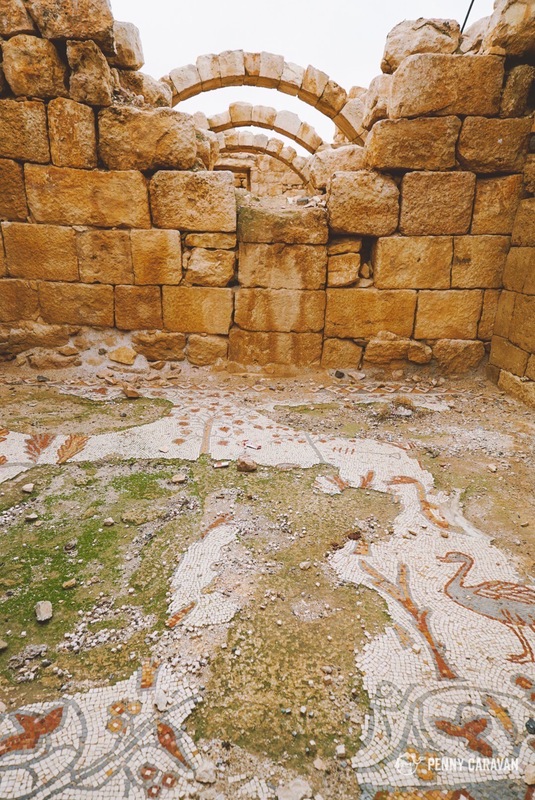 Mosaics similar to what we saw in Madaba. 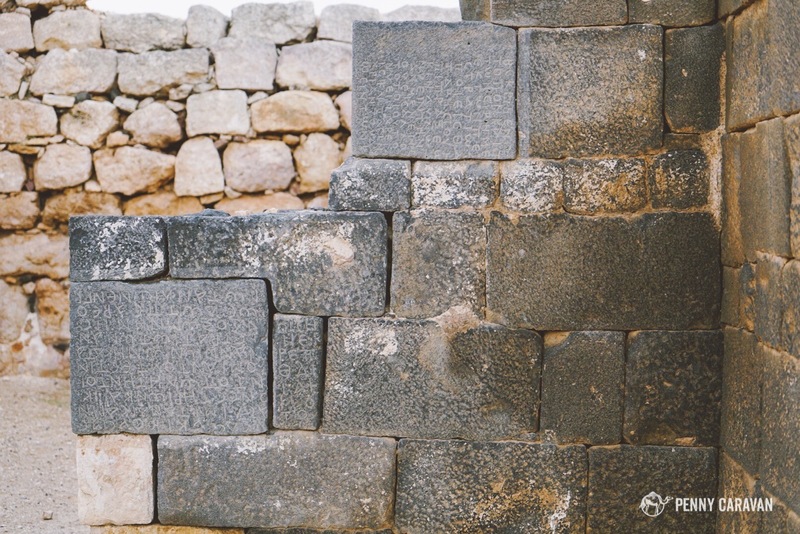 Many of the basalt stone blocks had inscriptions. We could see more structures further down the hill. 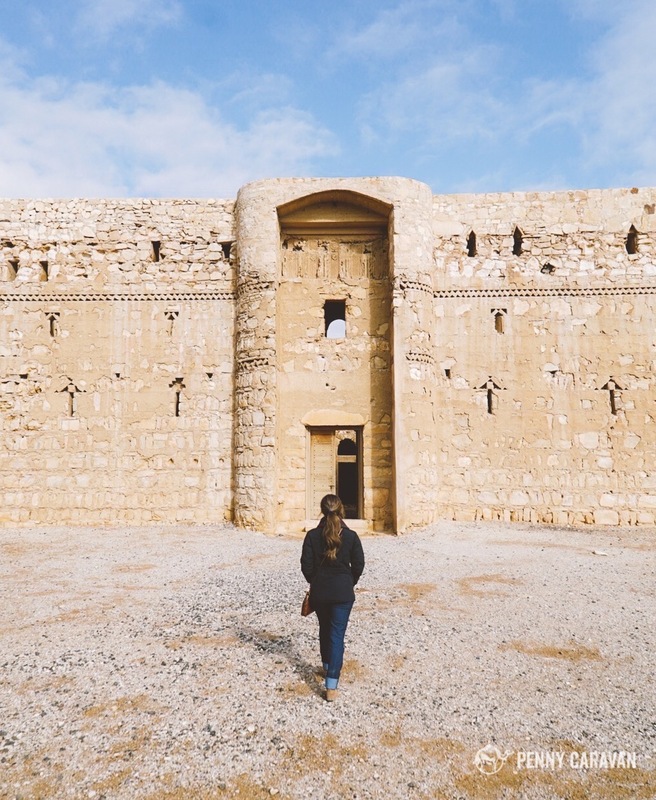 If you’re looking for a good day trip from Amman, definitely consider the Desert Castle Loop for its historical significance. 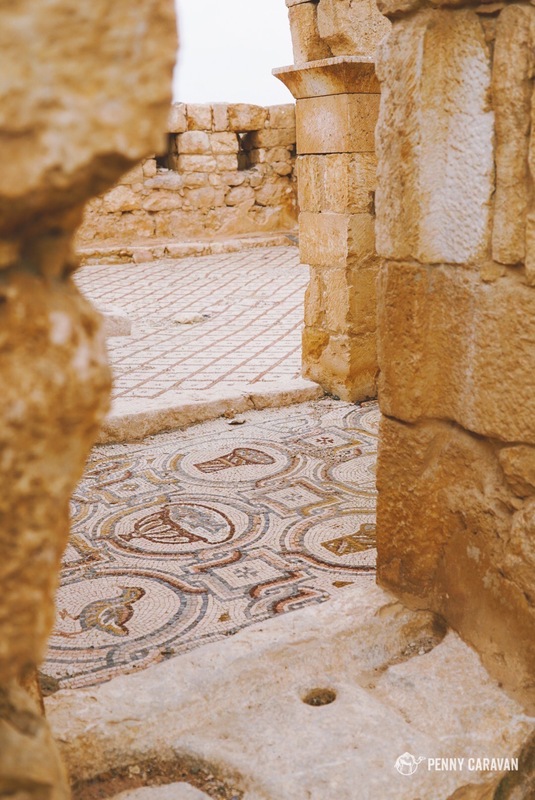 It’s a great opportunity to see one of Jordan’s four UNESCO heritage sites (Qasr Amra) and to further your education of the area by experiencing the eastern desert.